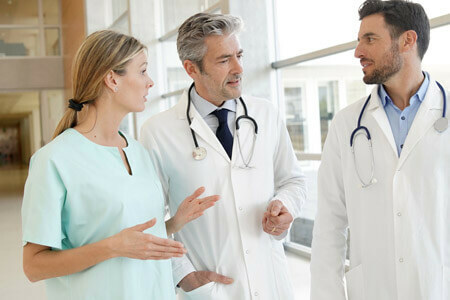 Aspirus offers advanced imaging services to help deliver accurate diagnoses and determine the appropriate treatment for your individual situation. There are a number of different imaging tests that look inside the body. 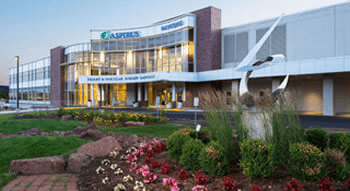 Whether you need a basic x-ray to diagnose a broken ankle or a detailed MRI to find a tear deep inside your shoulder, Aspirus has imaging services at locations throughout north central Wisconsin and the Upper Peninsula of Michigan to connect you to the treatment you need as soon as possible. Click on the imaging procedures or test below for additional information on each. A needle biopsy takes a sample of tissue from a patient so it may be sent to a laboratory for examination and diagnosis of a medical condition. A 20-40 percent decrease in women being recalled for additional imaging. A 41 percent increase in detection of invasive breast cancers. When breast cancer is detected early, the five-year survival rate is nearly 100 percent. A needle aided with imaging guidance (either ultrasound or x-ray) is used to remove small samples of tissue from a suspicious mass for microscopic evaluation. MRI uses radio waves and a strong magnetic field, rather than x-rays, to provide detailed pictures of internal organs and tissues. Myelography is an x-ray examination of the spinal canal. A contrast material is injected through a needle into the space around the spinal cord to display the spinal cord, spinal canal and nerve roots on an x-ray. Nuclear medicine scans are painless procedures used to help diagnose diseases of the body. Patients are given a small, safe dose of radioactive material—usually as an intravenous injection but sometimes orally. The radioactive material, called a radiopharmaceutical, travels through the bloodstream to a specific organ. Once there, the radiopharmaceutical emits gamma rays that are detected by a gamma camera. The gamma camera records the gamma rays in the form of images of body anatomy and function. Nuclear medicine stress testing involves two sets of images: stress/exercise images and resting images. To capture the images, a small amount of a radioactive isotope is injected through an IV. This isotope is detected by a special camera, which provides images of your heart, allowing doctors to evaluate the blood flow through the coronary arteries and the condition of the heart muscle. The amount of radioactivity to which you are exposed is very small and poses no danger to you or others. Ultrasound uses high-frequency sound waves (not audible to the human ear) to produce images of structures within your body. These images can provide valuable information for diagnosing and treating a variety of diseases and conditions. Vascular ultrasound evaluates the body's circulatory system. PET/CT combines the functional information from positron emission tomography (PET) with the anatomical information from CT into a single exam. The PET exam pinpoints metabolic activity in cells and the CT exam provides an anatomical reference. When these two scans are combined, your physician can view metabolic changes in the proper anatomical context of your body. Often this exam is used to help physicians detect and monitor tumors. Angiography is an x-ray procedure that creates images of the arteries or veins. It is especially useful for monitoring blood flow capacities and analyzing hardening of the arteries and for vascular tumors and certain wounds and injuries. A narrow catheter is inserted into a blood vessel and guided to the area to be imaged. The radiologist then injects a contrast liquid that is seen by x-rays as it travels through the bloodstream. Conscious sedation uses sedatives or pain relievers to reduce consciousness, anxiety and discomfort during an imaging exam or procedure. Patients are usually able to speak and respond while under conscious sedation. A brief period of amnesia may erase any memory of the procedure. A small bowel exam is an x-ray of the small intestine. After drinking a liquid called barium, x-ray pictures are taken of your abdomen every 15 to 20 minutes until the barium passes through your small intestine. The barium coats the inside of your intestines, enabling the radiologist to examine your small bowel when viewing the x-rays. Special x-ray equipment obtains images from different angles around the body. A computer then processes the information to show cross-section images of soft tissues and bone. Coronary artery calcium scoring helps assess your risk of having a heart attack by identifying the level of plaque in your arteries (atherosclerosis). This study may be performed if there are concerns about your swallowing skills.